The way tequila and mezcal have won over the world in the last few years, you’d think those two spirits were the alpha and the omega of agave-based drinking. There are a range of other exciting agave spirits produced all over Mexico—and some are even produced in our own backyard in the U.S. From cheesy Jaliscan raicillas to musty Chihuahuan sotols to homegrown agave spirits, now’s a good time to take the next step beyond Arandas and Oaxaca. Technically, any agave spirit distilled in Mexico is a mezcal, but a number of regions that produce those spirits have sought their own denominations of origin over the years. (Tequila is the most well-known.) Bacanora is one such spirit with its own appellation: It can only be produced in the state of Sonora. It's made pretty much the same way as the smokier mezcals you might know from Oaxaca—with seven-to-10-year-old agave roasted in earthen pits, hand-crushed, naturally fermented, and double-distilled in copper pots. 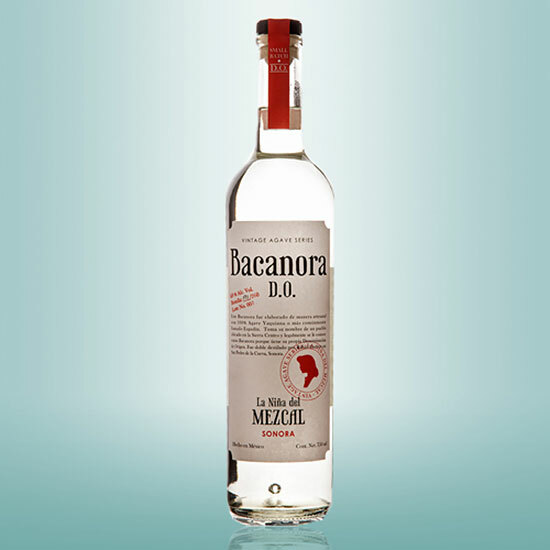 Bacanora is derived from the pacifica (or yaquiana) agave, which is a close relative to mezcal's most common espadín variety. 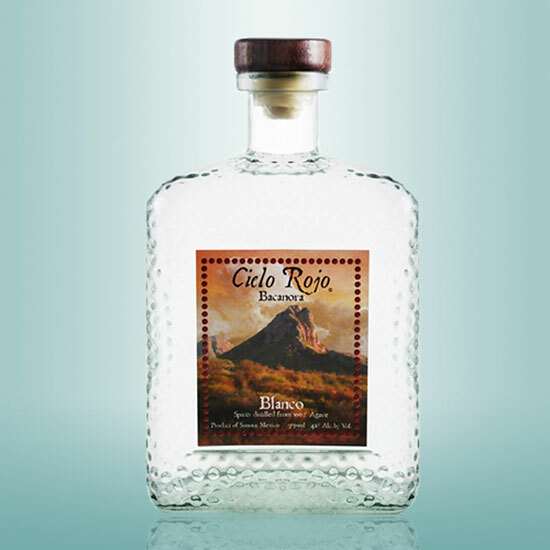 Cielo Rojo, one of very few bacanoras available in the States, is particularly floral and herbaceous on the nose, with very little presence of the smoke in which its agave was cooked. And at 42 percent ABV, it's light and smooth on the palate too. Brand owner Cecilia Rios Murrieta has steadily hustled her La Niña Del Mezcal label into the hearts and mouths of mezcal fans recently, with a huge selection of wild and cultivated Oaxacan mezcals. It was only a matter of time before she broadened her portfolio to include a bacanora, which is set to arrive on this side of the border in the next few months. As part of La Niña's Vintage Agave Series, the bacanora clocks in at a hearty 96-proof, and bursts with complex flavors. It's all sweet, roasted nut and agave on the nose, and a zippy, refreshing mint and pepper on the tongue. Deliciously adventurous, this one. Though it gets lumped in with other agave spirits, sotol isn't actually made from agave. Its source, the sotol plant (also known as the desert spoon, or dasylirion wheeleri), is more like a semi-succulent grass. Sotol, too, has a denomination of origin, and can only be made in the northern states of Chihuahua, Durango and Coahuila. 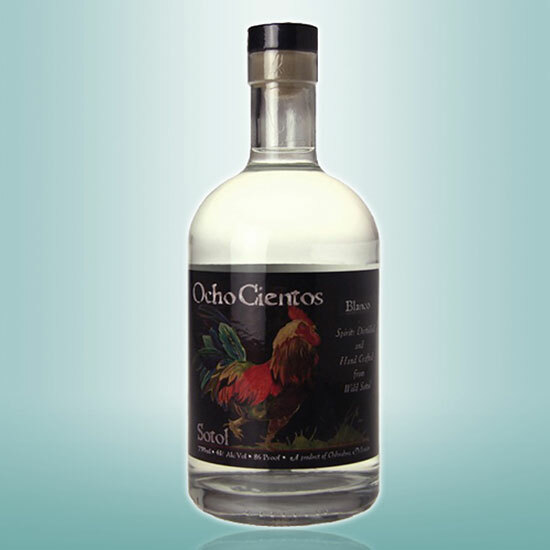 Ocho Cientos, like many tequila marks, produces three expressions: blanco, reposado and añejo. The blanco shows off sotol's very grassy, earthy characteristics, remaining dry across the palate with a hint of anise on the finish. Its aged brothers progressively take on more oaky notes, with the añejo balancing reedy vegetality with hints of caramel and cinnamon. To the chagrin of those mezcal purists who scoff at anything less than 45 percent ABV, sotol in the U.S., up until this point, hasn't gotten its head above 84-proof. But that's soon to change when Seattle's Back Bar Project, which currently imports El Jolgorio mezcals, will start serving up Sotol Por Siempre to the American market in the next month or so. 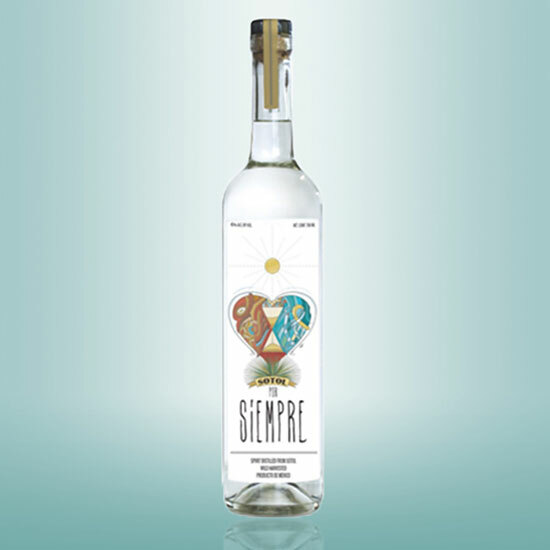 Sotol Por Siempre is a whopper of a spirit: minty, herbal, minerally and dynamic on the nose and palate, yet surprisingly smooth through the finish. Like the finest of wild-harvested mezcals, this one brims with character. Can you mix it? Absolutely. In fact, Back Bar Project also imports France's Giffard liqueurs, which play beautifully in a number of agave-based drinks. The Diabla cocktail combines Sotol Por Siempre with cassis noir de Bourgogne, lime juice, and ginger beer, and the refreshing Mariposa mixes sotol with crème de pamplemousse rose and lime. 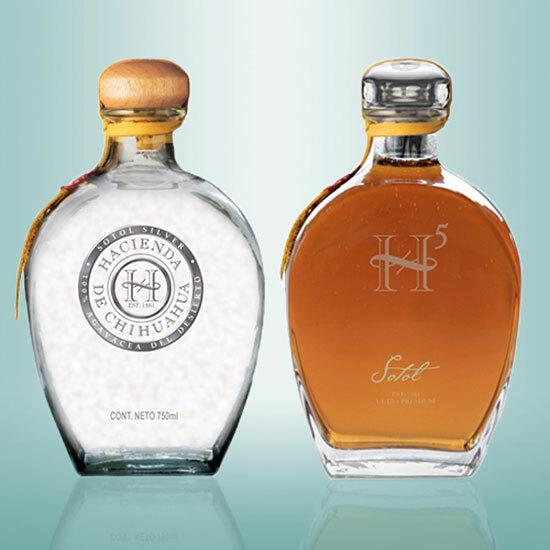 Haçienda de Chihuahua also makes an easy-to-imbibe line of sotols that level off at 38 percent ABV. The plata expression resembles a slightly drier, subtler tequila with a gentle chorus of citrus notes, but the company also does a fair bit of age experimentation. The H5 extra-añejo, fermented with Champagne yeasts and racked in new French white oak barrels for five years, is a finely tuned sipping beverage that plays aged sweetness against an earthy background. What's next in the sotol world? Genius Liquids are producing a sotol that's actually grown and made in Texas from dasylirion texanum, and it's set to hit the shelves later in 2015. Raicilla is the true outlaw of agave spirits. It's made outside of any denomination of origin, mostly in the western part of Jalisco (the tequila-producing mecca), from a number of different agaves, and in an array of styles. It's also got a wild-eyed, untamable range of flavors. 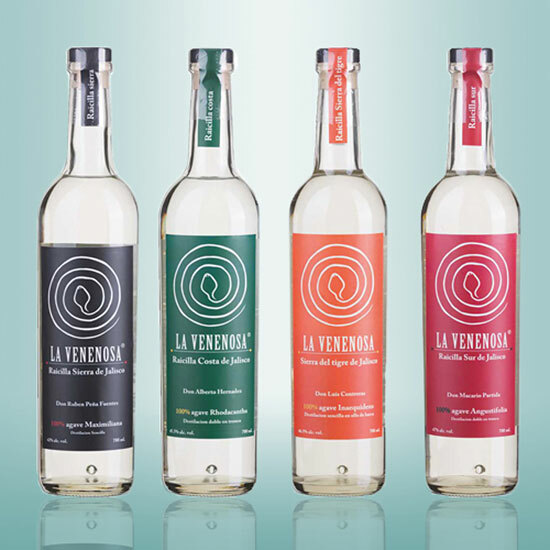 La Venenosa ("venom"), created by chef Esteban Morales Garibi and imported by Fidencio Mezcal's Arik Torren, is currently the only raicilla for sale in the U.S. But don't just trust its pedigree: These four completely unique expressions are special. The black-label Raicilla Sierra de Jalisco is particularly unconventional in that it's only distilled once. It explodes with a sake-like freshness, tart acidity, and blooming fruity papaya. The 91-proof green-sticker Costa de Jalisco is a mix of rhodacantha and angustifolia agave that's distilled in wood not just fermented in wood, like so many mezcals. It lights up on the nose with piney aromatics and has a gorgeously spicy and round taste. Into pechuga mezcals? While La Venenosa's red mark is not distilled with a raw chicken breast, it has a similarly unctuous, gamey and fruity scent. It's also got a fairly potent 47 percent ABV, so you'll get a little blast of alcohol on the back of the tongue. The orange-label Sierra del Tigre de Jalisco is the oddest of the bunch: a raicilla made from wild inaequidens agave that's got a nose that can only be likened to that of a hard cheese. Its transformation in the mouth, though, is remarkable: it morphs into a mix of berry and cilantro notes. Each of the Venenosa raicillas is pretty astounding in its own way.